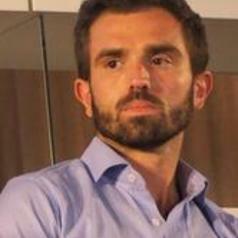 Dr. Tomaso Ferrando is a Lecturer in Law at the University of Bristol Law School. He holds a Phd in law from Sciences Po University (Paris) and has been visiting a fellow at Harvard University Law School, University of Sao Paulo and the University of Cape Town. Tomaso’s work focuses on the link between law and food, with particular attention to the international dimension (trade, investments and the human right to food) and the implementation of local practices. In his latest academic work, he has focussed on the EU regulation of food waste, on the role of competition law in obstructing coordinated attempts to improve the global food system and on the idea of the food system as a commons (similar to air, water, sun, etc.). Outside of academia, he acts as consultant and pro-bono advocate in questions relating to the right to food and food policies. In the last years he has been cooperating with the International Panel of Experts on Sustainable Food Systems (IPES-Food) and contributed to the formulation of a EU Common Food policy (to replace the Common Agricultural Policy). He is a member of Feeding Coventry, a multidisciplinary project that aims to tackle the roots of food poverty by involving public administrators, private sector and civil society.